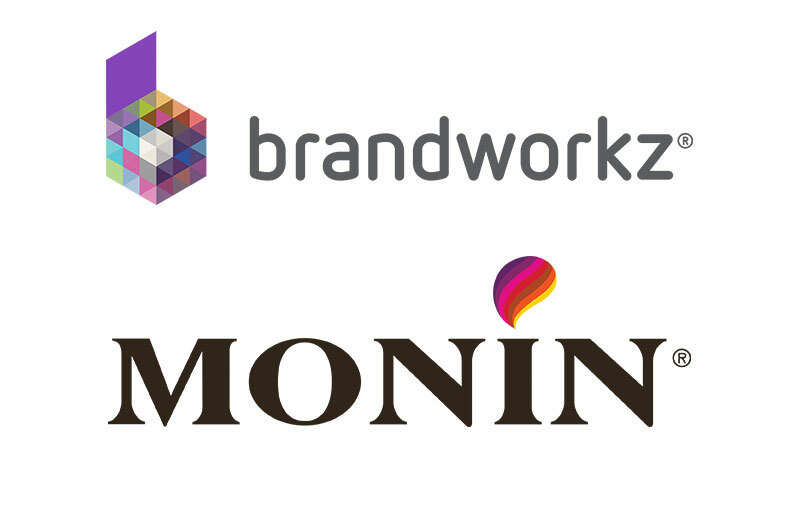 MONIN, the world famous flavoured syrup brand and Brandworkz, the marketing and brand management software company, are delighted to announce that they have formed a business collaboration. MONIN is implementing the Brandworkz brand asset management software platform in their business to enhance their marketing operations. The system will provide MONIN marketing and sales teams, wider staff, external agencies and partners worldwide with a marketing content hub, enabling them to strengthen their iconic brand even further. Their teams will be able to access the marketing content and brand guidelines they need to deliver enticing marketing communications and the distinctive brand experience that their customers expect in today’s demanding marketplace. MONIN is a market-leader and innovator in the flavoured syrup market, and has been selling its products for over 100 years. It has a global reputation for quality, and for bringing incredible flavours to kitchens, coffeehouses, restaurants and bars around the world. Founded more than 100 years ago in France, family-owned and operated for three generations, MONIN is the premier provider of flavouring products for creating specialty beverage and flavourful culinary solutions. With manufacturing facilities in three continents and distribution to more than 140 countries, MONIN is recognised as the global flavour leader. MONIN’s passion for innovation brings incredible flavours to kitchens, coffeehouses, restaurants and bars around the world. MONIN currently offers over 200 specialty syrup, sauce, fruit smoothie and cocktail mixes designed to add superior flavour from specialty beverages to culinary applications. For more information visit www.monin.com. Brandworkz enables every internal team within a business to deliver a unified brand experience. It allows users to share marketing content, create and edit artwork, collaborate with colleagues globally and buy in to the brand promise. Brands like Red Bull Racing, JLL, Silicon Valley Bank and Cambridge University are already using Brandworkz to increase marketing efficiency and delight their customers with a consistent, integrated brand experience.